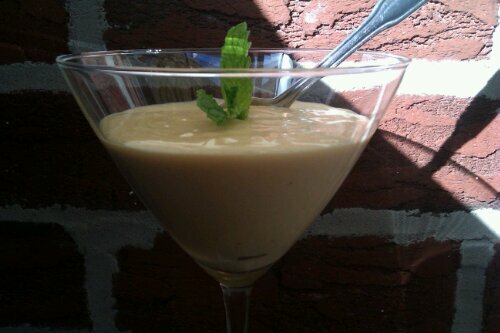 Here is another dessert that is really popular is Brasil. 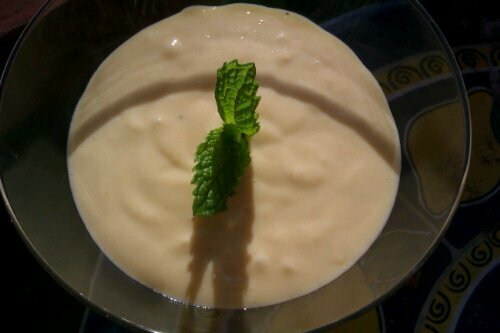 It’s passion fruit mousse. It’s rich and creamy and holds a lot of that fruit flavor that’s tangy and good. You can pretty much make any fruit mousse. What you need is condensed milk, table cream (creme de leite), which you can usually find in the international aisle in your supermarket. You also need fruit pulp, which you can usually find all those latin flavors in the same aisle. Blend everything together and place in the refrigerator for a couple hours. Enjoy! I’m going to serve this at my girl’s holiday party next month. Great recipe!